BKBF is the bioKamino built-in line designed specifically for professionals, architects, builders, renovators and anyone wanting to enjoy a fire as the focal point of an important space in the home. BKBF-B is the double-sided bioKamino fireplace that can act as a room divider. 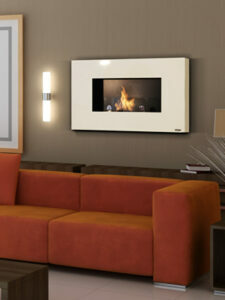 BKBF-M is the sigle-sided built-in fireplace perfect to enrich a wall. BKBF-A is the double-sided angular (right and left) built-in fireplace suitable for indoor or outdoor locations. 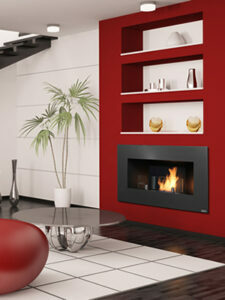 BKBF-C is the 3 sided built-in fireplace perfect to enrich an important wall. 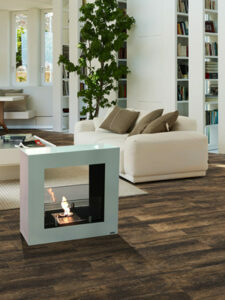 BKBF-T is the 3 sided built-in fireplace perfect to act as a room divider.